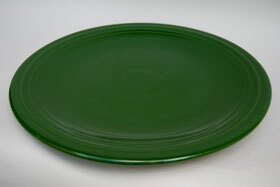 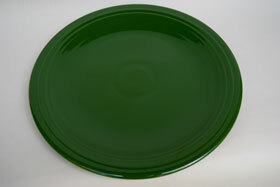 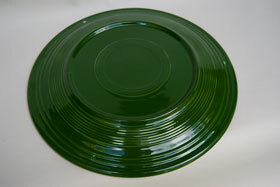 Circa 1951-1959: Here's a wonderful example of the 13" Vintage Fiesta chop plate in the original '50s forest green glaze. 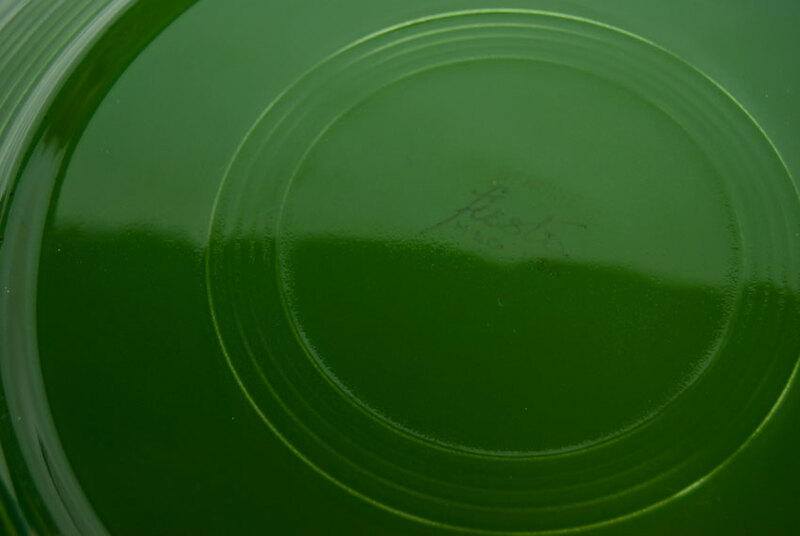 A rich and smooth shiny surface make this an excellent example without damage or distracting use marks. 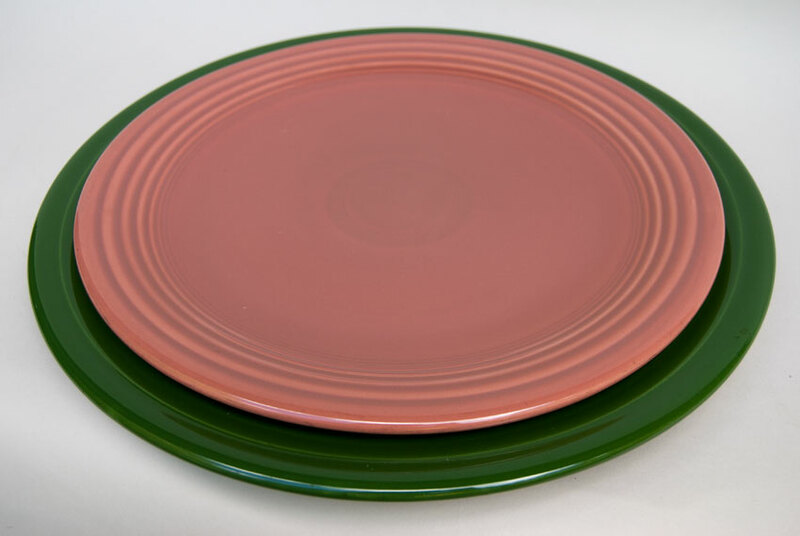 The chop plates were some of the largest pieces in the Vintage Fiesta pottery line and are a great way to showcase your favorite colors. Too large to be put on the automatic jiggering machines they had to be tooled by hand, made upside down, like all fiesta plates, the clay being pressed into a mold and the back rings formed by hand tooling on the jiggering machine. Measures an impressive and usable 12 3/8" x 1 1/8".